We’ve got less than a month until the release of Doctor Strange, and this is not a drill: We are gearing up for some intense, movie magic realness. 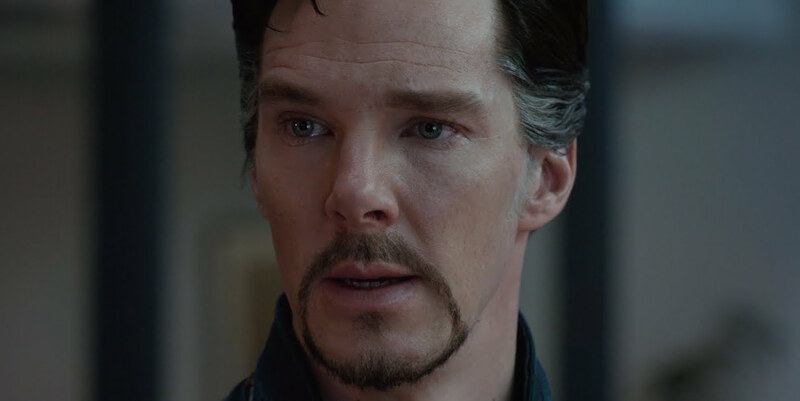 We’ve been excited for this film for AGES, fangirling over photos of Benedict Cumberbatch in that signature red cape, just as much as we did for potential spoilers on Dan Harmon’s desktop. And those weren’t even actual footage – the first trailer is full of stunning footage as well as the basic outline of Stephen Strange’s origin story. Today, however, we got the best gift imaginable – more footage goodness – when the Doctor Strange international trailer dropped. Most of the setup is the same: We see the car crash in which Stephen Strange is injured, and a flash of him in the hospital. There’s still a good amount of Tilda Swinton telling him there’s a lot about the world he doesn’t know, as in previous trailers – though some of this footage is new. We get more glimpses of Strange training, because it’s an origin story and that’s what you see in an origin story – plus the same glimpse of Swinton’s Ancient One basically telling Strange that training to become a sorcerer will take time and hard work that we saw in the second trailer. Then all of a sudden, it cuts to Mads Mikkelsen as Kaecilius saying, “I am death, and pain,” and even though this was also in the second trailer, it feels like things are just getting very real and very, very scary. Then we get some more special effects, like buildings bending like it’s NBD. Then, of course, there’s that INCREDIBLE Cumberbatch cape swish. Just before the end of the trailer, we get that glorious bit about the Wifi password, and even though we’ve seen it before, we still love it, because that’s the moment when we realize that this movie might just make us LOL repeatedly. Thankfully, Doctor Strange hits theaters on November 4th, so we don’t have much longer to wait!